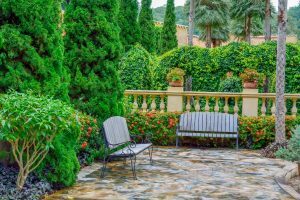 North Carolina is fortunate to have a wonderful climate, and when the warmer weather rolls around, that means it will be time to entertain in your outdoor spaces. As we have mentioned before, there would be nothing worse than throwing a great party only to have it cut short when the sun goes down and your guests can no longer see in front of their own faces, much less each other. If this is the case, moving around a home’s exterior can also be highly problematic. The last thing you want is for someone you’ve invited over to sprain an ankle on the side of a pathway or miss a step and take a tumble. 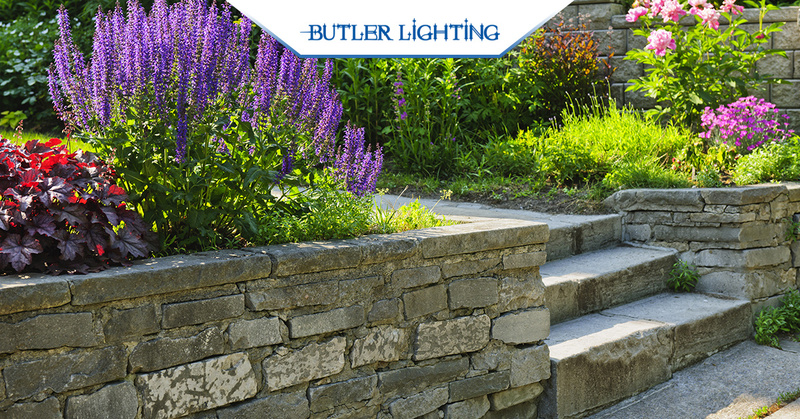 Today, Butler Lighting wants to go more in-depth on how to properly light your outdoor pathways and find the best option for your home. Downlights: This option is great if your landscape has tall, strong trees that can be used to hang a light or your home has a tall column near the pathway you want to illuminate. Downlights are essentially spotlights that have a little less power and are not activated by movement. Instead, these exterior lights splash a soft amount of light across a selected area of your backyard or pathway. 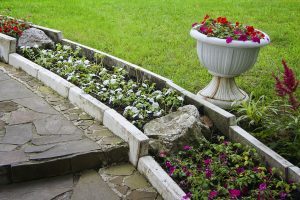 These can be great if you want to gently brighten a certain spot of your walkway or the end of the path and beginning of a deck staircase. Post Lights: If you are a traditionalist and want to make your pathway lighting resemble an urban downtown, opting for post lights can give you the feel you’re looking for. These are just like street lamps, but obviously without the height. Using these can illuminate your pathway and yard from a height in between that of downlights and traditional pathway lights, while bringing some character and creativity to the landscape design. Traditional Pathway Lights: If you’ve ever seen someone’s pathway lined with fixtures resembling miniature lamp posts, then you’ve seen a classic example of traditional pathway lights. These lights give you the ability to not only illuminate a walkway, but also define the boundary of the path so you can keep visitors off the grass and out of flower beds. Upward Spotlights: These outdoor lighting fixtures are a fusion of traditional pathway lights and downlights. Like the traditional option, these lights will often line a walkway so guests know exactly how much real estate they have to work with. Like downlights, they will splash light across the length of the sidewalk, without lighting any other area such as the lawn or patio. These are great if you are looking for an option that will strictly illuminate the pathway and not waste its energy elsewhere. Rewiring your home to feed electricity to your outside lights is not difficult, but it can surely be a time consuming chore. Rather than digging up your yard, making a visit to the hardware store for the right wiring and tools, then trying to figure out all of the complexities that are an electrical system, you have options to remove the hassle from installation. Butler Lighting has some easy-to-install landscape power options like a landscape transformer that you can use to make rewiring a breeze, as well as landscape wire so you don’t have to rummage through countless wiring options. Solar outdoor lights are also a quality option if you are hoping to eliminate any installation. Many options, especially those in the vein of traditional pathway lighting, are solar-powered and ready to use right out of the box. You can simply stick them in the ground, allow the sun to charge them, and watch your walkways become illuminated after sunset. If you are looking for a way to upgrade your home’s landscape and exterior lighting, trust the experts at Butler Lighting. Browse our online selection and find the right fixture for your needs, or stop by one of our locations in the Greensboro area and see why we are North Carolina’s number one choice for lighting!